Tea Squared Anise Herbal Loose Leaf Tea (40g)Aromatic and soothing caffeine free herbal with a great.. Tea Squared Be Fit Loose Leaf Tea (80g)Aromatic green tea and fruit blend. An exciting combination o.. Tea Squared Berry Buddy Loose Leaf Tea (80g)Forest berries dominate this rich dark fruit melange wit.. Tea Squared Berry Detox Loose Leaf Tea (80g)Antioxidant rich green tea is boosted with powerful supe.. Tea Squared Black Currant Loose Leaf Tea (80g)Smooth, medium-bodied, top-quality black tea lets the .. Tea Squared Bollywood Chai Loose Leaf Tea (80g)This aroma bomb of delightfully malty black tea with .. 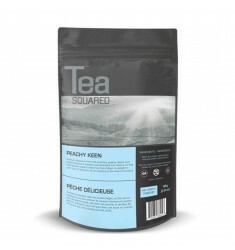 Tea Squared Breakfast in Paris Loose Leaf Tea (80g)Like English Breakfast - but better! Summit level.. Tea Squared Bukhial Estate Loose Leaf Tea (80g)A classic Assam with the typical malty depth that mad.. Tea Squared Caramel Chai Loose Leaf Tea (80g)A rich and smooth twist on a classic. Our Caramel Chai .. Tea Squared Caribbean Breeze Loose Leaf Tea (80g)Instant vacation with the flavours of the Caribbean.. Tea Squared Citrus Relaxer Loose Leaf Tea (80g)Melt the stress away! Fresh notes of citrus peel and .. Tea Squared Coco-cream Rooibos Loose Leaf Tea (80g)Sweet flavours of coconut juice and vanilla. Rich.. Tea Squared Cranberry Purifier Loose Leaf Tea (80g)Juicy and tart blend of healthy and cleansing fru.. Tea Squared Creamy Vanilla Loose Leaf Tea (80g)The most popular sweet flavour in the world, captured.. Tea Squared Dayeh Pu-erh Loose Leaf Tea (80g)Thick, black, rich and sweet with intense earthy aromas.. Tea Squared Decaffeinated Earl Grey Loose Leaf Tea (80g)The famous blend, but decaffeinated, using t.. Tea Squared Dreamy Marzipan Loose Leaf Tea (80g)Get lost in a daydream of surround yourself with the.. Tea Squared Egyptian Chamomile Loose Leaf Tea (40g)Egyptian Chamomile is regarded as the best qualit.. Tea Squared Exotic Paradise Loose Leaf Tea (60g)Top China white "Mao Feng" with tantalizing aromas o.. Tea Squared Genmaicha Loose Leaf Tea (80g)Widely known as "Popcorn Tea". Japanese Sencha with layers.. Tea Squared Golden Yunnan Loose Leaf Tea (80g)High-grown China Black tea from the mountains of Yunna.. Tea Squared Guangzhou Milk Oolong Loose Leaf Tea (60g)This pungent oolong has been processed painsta.. Tea Squared Herbal Chai Loose Leaf Tea (80g)A soothing, relaxing, caffeine-free herbal mixture. A me.. Tea Squared Honey Fig Tree Loose Leaf Tea (80g)Harmonious and sweet composition of sun-ripened figs .. Tea Squared Imperial Earl Grey Loose Leaf Tea (80g)Loaded with the "oil of bergamot", the divine fla.. Tea Squared Irish Breakfast Loose Leaf Tea (80g)This blend is created for the lover of strong black .. Tea Squared Jasmine Dragon Tears Loose Leaf Tea (40g)Super premium China green tea. This tea can onl.. Tea Squared Jasmine Loose Leaf Tea (80g)High-grown China green tea is layered multiple times with fr.. Tea Squared Kombucha Detox Loose Leaf Tea (80g)Ancient Asian wisdom combines the health benefits of .. Tea Squared Lapsang Souchong Loose Leaf Tea (80g)The classic of smoked teas. True China black tea ma.. Tea Squared Lavender Rooibos Loose Leaf Tea (80g)Reminiscent of a vacation in Tuscany. The gentle br.. Tea Squared Lime Tree Rooibos Loose Leaf Tea (80g)Green South African rooibos with fragrant lime and.. Tea Squared Luscious Mango Loose Leaf Tea (80g)0g)Delicious and fruit forward. A great combination o.. Tea Squared Mango Chai Loose Leaf Tea (80g)More a fruit blend than a traditional chai, this tea impr.. Tea Squared Marrakesh Mint Loose Leaf Tea (80g)Morocco's staple. Full-bodied green "gunpowder tea" w.. Tea Squared Mim Estate Tgfop - Darjeeling Loose Leaf Tea (80g)Exceptional second flush from one of t.. Tea Squared Moroccan Mate Loose Leaf Tea (80g)Sweet oriental aromas. An exotic masterpiece reminisce.. Tea Squared Mumbai Gold Chai Loose Leaf Tea (80gTraditional Indian Masala Chai, loaded with freshly .. Tea Squared Nourish the Soul Loose Leaf Tea (80g)Finest Sencha green tea with an aromatic combinatio.. Tea Squared Peachy Grapefruit Loose Leaf Tea (80g)Green rooibos is the caffeine-free base for this s.. Tea Squared Peachy Keen Loose Leaf Tea (80g)Intense fragrance from red peaches, grapes, apple and pe.. Tea Squared Peppermint Loose Leaf Tea (60g)The classic! Fresh and pungent peppermint like you won't .. Tea Squared Pure Comfort Loose Leaf Tea (80g)The flavours of cozy winter delights can be enjoyed all.. Tea Squared Pure Energy Loose Leaf Tea (80g)The smoother cousin of the pretentious Earl. High-grown .. Tea Squared Red Rooibos Chai Loose Leaf Tea (80g)Delicious, caffeine-free South African red bush tea.. Tea Squared Roasted Apple Chai Loose Leaf Tea (80g)Summit-level Ceylon black tea from the finest reg.. Tea Squared Rooibos Loose Leaf Tea (80g)South African red bush is loaded with antioxidants, vitamins.. Tea Squared Sencha Fujiama Loose Leaf Tea (80g)Pure Japanese green tea of superior quality. Fresh an.. Tea Squared Sencha Sensation Loose Leaf Tea (80g)Finest Sencha green tea gets a makeover from a mela.. Tea Squared Shanghai Sunrise Loose Leaf Tea (80g)Dragon fruit and pineapple character provide the fr.. Tea Squared Skinny Wulong Loose Leaf Tea (80g)From mount Wuyi. These teas have shown to increase met.. Tea Squared Sleepyhead Loose Leaf Tea (80g)The smoother cousin of the pretentious Earl. High-grown C.. Tea Squared Spice Route Oolong Chai Loose Leaf Tea (80g)Thick, rich and satisfying chai blend. Diffe.. Tea Squared Strawberry Sundance Loose Leaf Tea (80g)The most refreshing sweet strawberry and lemon f.. Tea Squared Ti Kwan Yin Loose Leaf Tea (80g))Famous China oolong. Fragrant scents of wild orchids ar.. Tea Squared Toasted Almond Brittle Loose Leaf Tea (80g)The smoother cousin of the pretentious Earl. .. 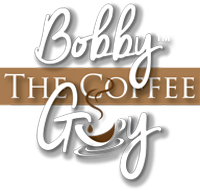 Tea Squared Uncle Grey Loose Leaf Tea (80g)The smoother cousin of the pretentious Earl. High-grown C.. Tea Squared Vanilla Chai Loose Leaf Tea (80g)Delicious and rich Chai blend. This tea captures the ri.. Tea Squared White Needle Yin Zheng Loose Leaf Tea (40g)The pinnacle of quality when it comes to whit.. Tea Squared White Peony Pai Mu Tan Loose Leaf Tea (40g)A classic white tea of exceptional quality. F..